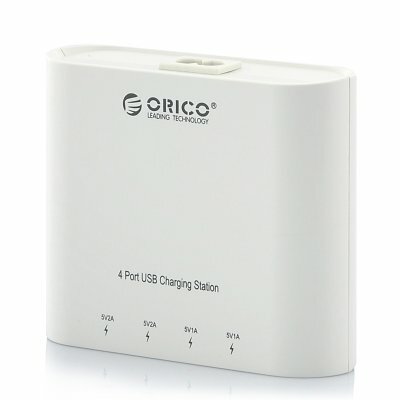 Successfully Added USB Wall Charger Hub "Orico DCH-4U" - 4x USB Ports, Power Adapter to your Shopping Cart. USB Wall Charger Hub with 4x USB Ports and a Power Adapter enabling you to charge your USB gadgets at a power socket. Charge up to 4 USB gadgets such as your Phone, MP3 player or Camera with this Wall Charger HUB. Plug the power adapter to a wall socket and you’ll have 4 powered USB ports to your disposal. 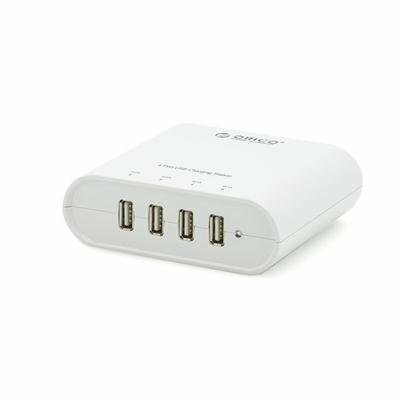 Perfect when travelling, you won’t need a PC around to charge your USB powered accessories and built extra compact, the "Orico DCH-4U" doesn’t take up much space. Equipped with overheating protection, over current protection and overcharging protection, your gadgets will be safe and will automatically stop charging once full charged. In stock now, this Wall Powered USB HUB is now ready for shipping within one working day. Brought to you by the leader in wholesale USB Gadgets, Chinavasion. This hub is powered by a power adapter, and not by a PC/Mac USB hub. A must have device for gizmo gurus as it can charge all your smart devices from android to iPhone to iPad. I have seen many chargers or battery banks which claim to charge iPhone and iPad but they don't. But this one charges them for sure from any one out of 2 ports marked 2.1 V. I have done away with my individual chargers once I started using this wall charger. Now the position is that at times my all 4 ports are engaged. May be expect similar charger with 8 charging ports in the same size. Is Chinavasion listening.